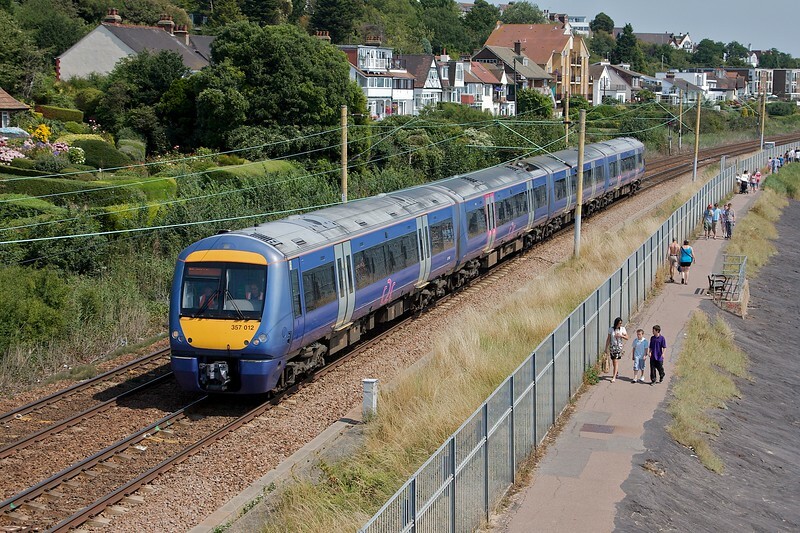 My first digital railway photograph, and firmly on home territory at the time. 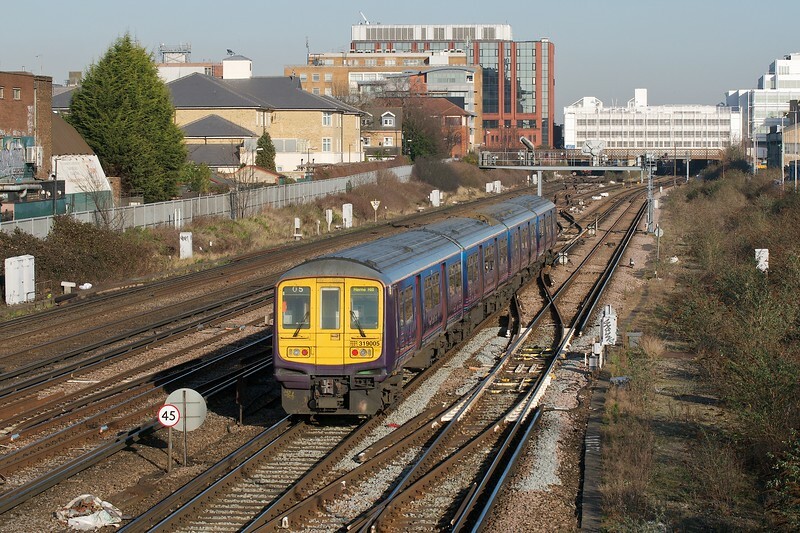 This is Wandsworth Road on March 28th 2005 and 456002 is pausing with a London Victoria - London Bridge via Peckham Rye (South London Line) service. Unrefurbished SWT class 455/9, 455907 is seen at Chessington South on 16th April 2005, prior to forming the 1110 departure to London Waterloo. Class 421: BR York built 136 class 421 4-CIG units between 1964 and 1972. 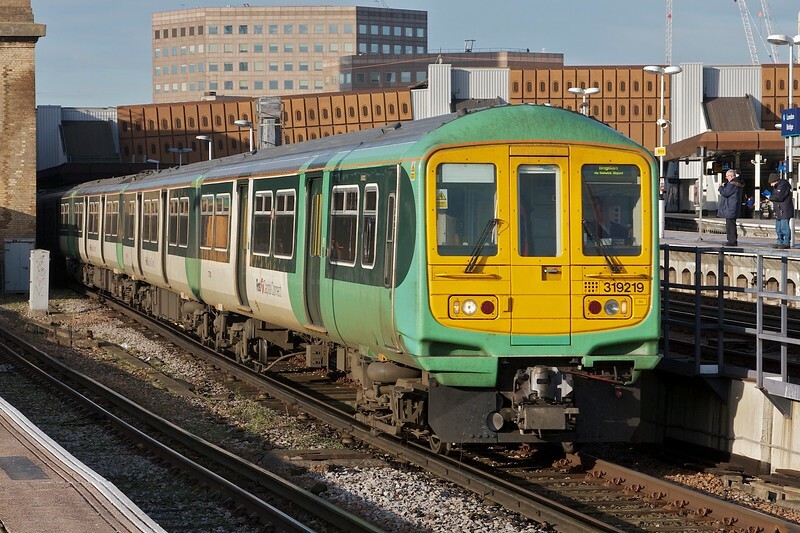 A first batch were for the Brighton mainline, a second batch for South Western division trains to Portsmouth. The last two CIGs in service, reduced to three cars, were green 421498 'Farringford' and blue-and-grey 421497 'Freshwater' which were retained by SWT for operating the Brockenhurst - Lymington Pier shuttle until May 2010. 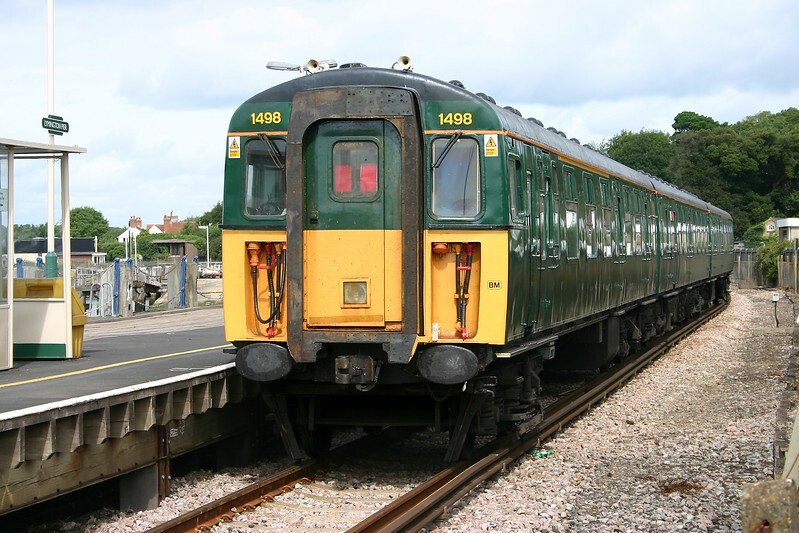 On 26th August 2005, 1498 departs the Pier with the 1144 to Brockenhurst. 421497 trails 73201 and 4-VEP 423417 through Millbrook on 26th August 2005. 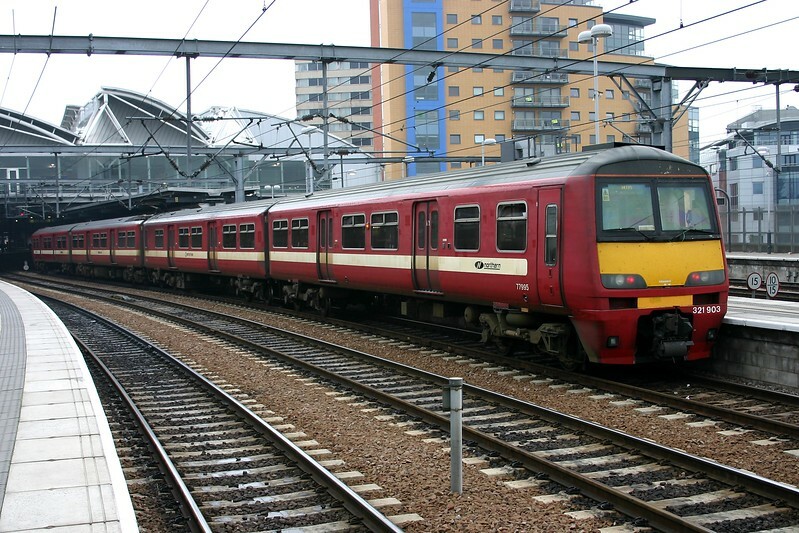 The 3 4-car class 321/9s were delivered in WYPTE red and cream livery for services between Leeds and Doncaster. On just such a working, 321903 is seen at Leeds on 15th October 2005. The 48 class 321/4s were built for outer suburban services from London Euston. The Silverlink livery, which superseded the as-built NSE, suited the sets well. Speeding through Harrow and Wealdstone on 15th June 2008, 321414 heads for Euston. 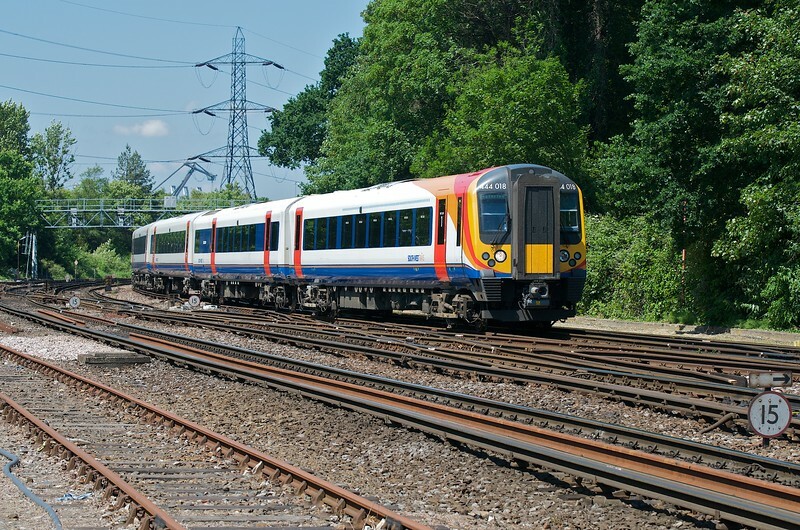 The original c2c livery suited the class 357s well. This is Chalkwell on 9th August 2009 and 357012 is heading for Fenchurch Street. As evidenced by the destination blind, 313106 - seen approaching Clapham Junction on September 26th 2009 - is forming a diverted Stratford - Richmond working. 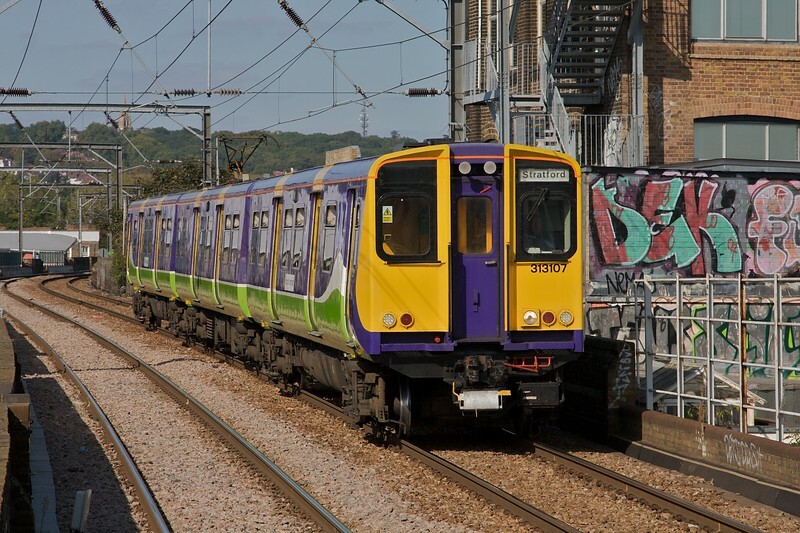 The set wears London Overground branding on the former Silverlink livery. 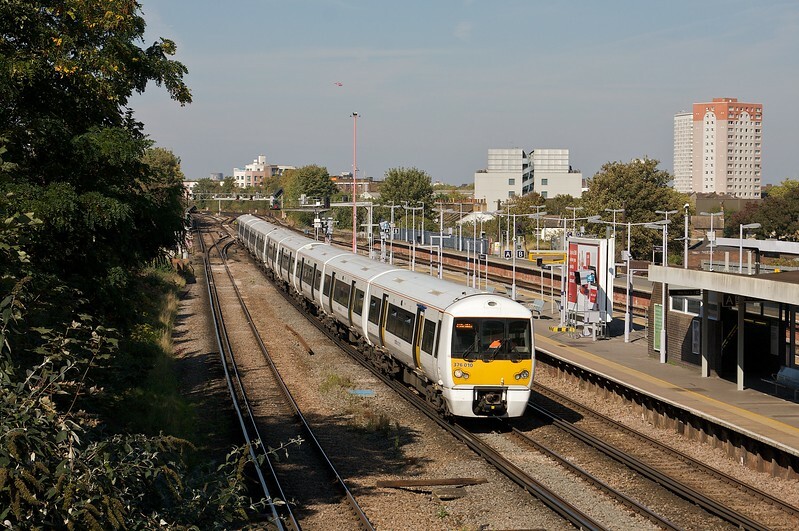 The 1341 Richmond - Stratford approaches Kentish Town West on 26th September 2009, formed of 313107. The 313s had just less than a year of service left on the NLL, finishing in September 2010 having been replaced by new class 378 sets. Class 376: The 36 5-car class 376 sets were introduced from 2004. 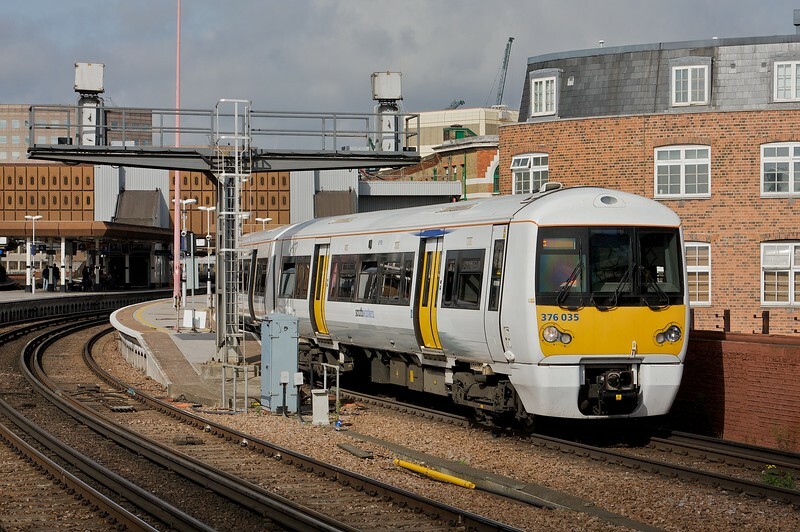 They have no corridor connections, wider and faster recessed doors, no toilets and no air-conditioning and high-density seating to operate 'Metro' services to Dartford. On 10th October 2009, 376035 is seen leaving London Bridge. The 1256 'FCC' London Bridge - Brighton departs London Bridge on 2nd January 2010 formed of Southern-liveried, FCC-branded class 319/2 319219, one of the former Connex Victoria - Brighton express sets. 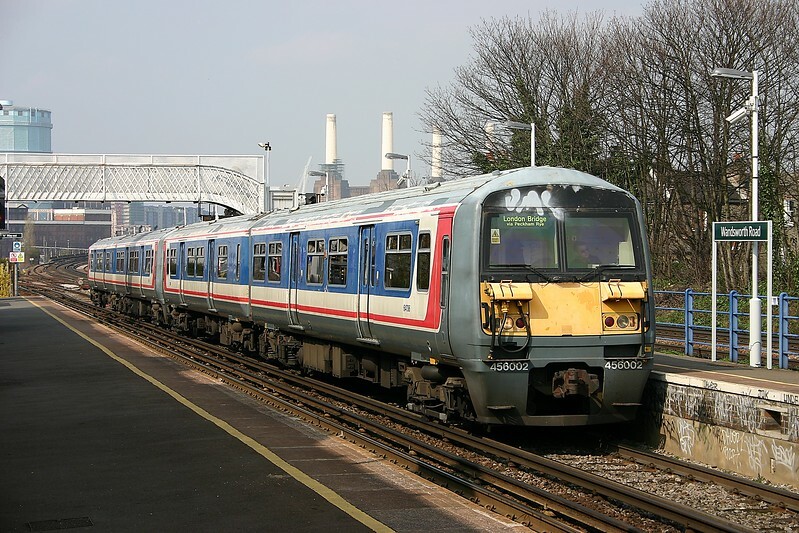 Class 460: 8 8-car Alstom class 460 units operated the 'Gatwick Express' service between 2000 and 2012. 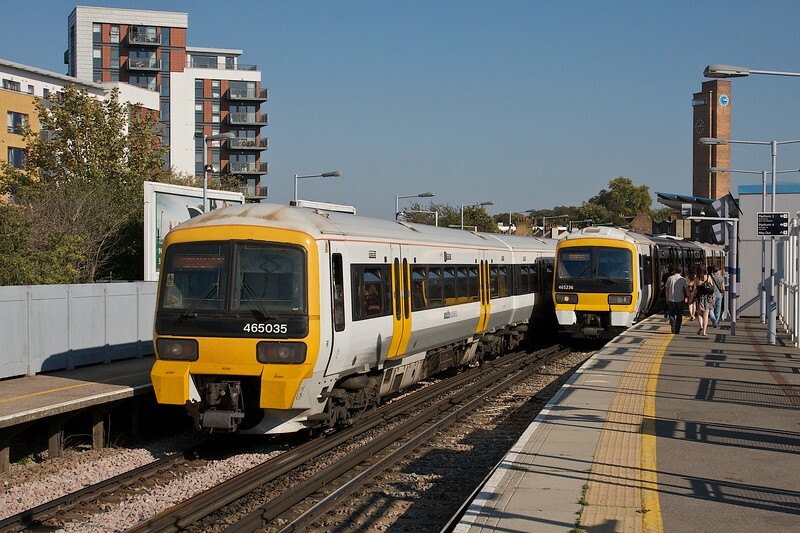 The fleet was subsequently disbanded and 60 of the 64 vehicles were used to create 6 new 5-car class 458/5s, and to extend the existing 30 class 458/0s to 5-car class 458/5s. Four surplus DMFOs were scrapped. Sun and Snow! 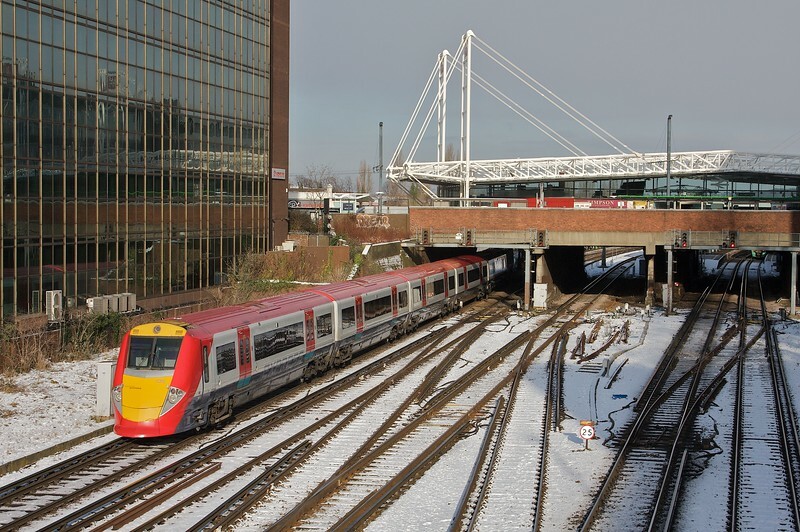 460005 negotiates East Croydon on 9th January 2010 with the 1D55 1050 Victoria bound 'Gatwick Express'. 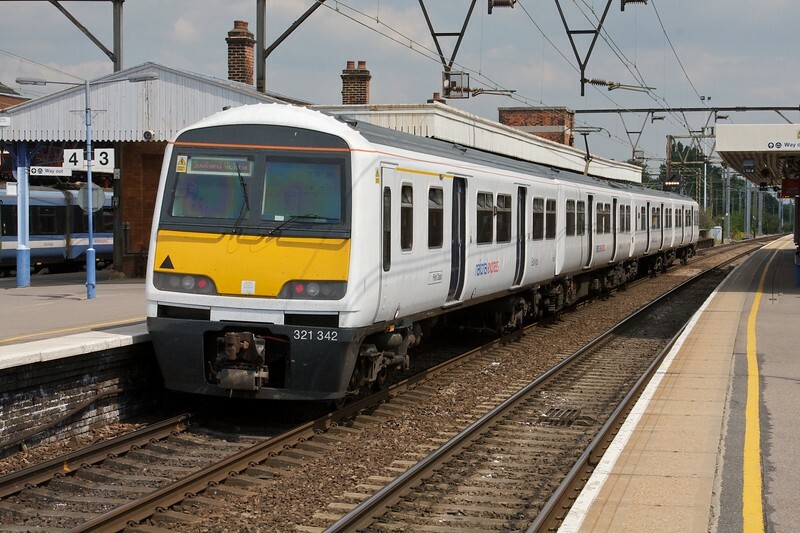 Class 395: The 29 6-car Hitachi 'Javelin' class 395 sets were built for and continue to operate domestic services on HS1 between London and Kent. On 2nd April 2010, 395028 is seen shunting on Ramsgate depot. No parking? Class 466: Supplementing the 4-car class 465s, were 43 2-car class 466 'Networker' sets built by GEC and entering service from 1993. 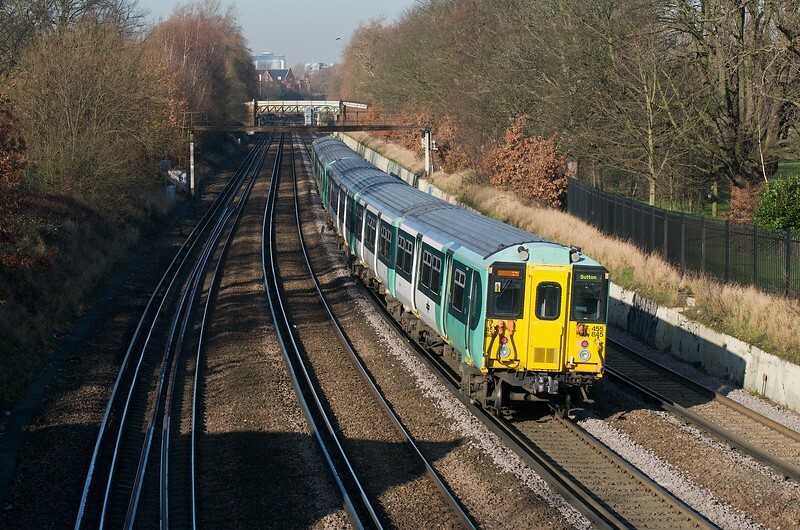 This permitted ten car trains (465/465/466) but the units can also be found working alone on the Sheerness and Bromley North branches. 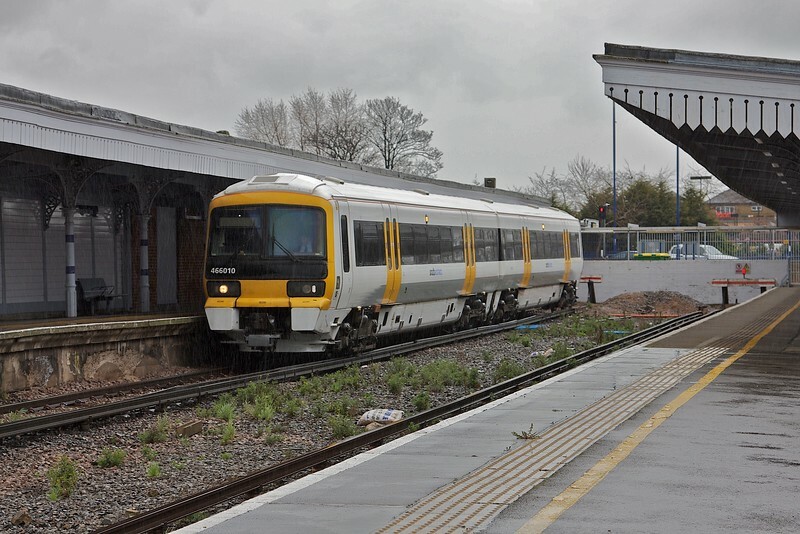 Bleak: the 2D42 1442 Sheerness - Sittingbourne service waits to leave the terminus on April 2nd 2010 formed of 2-car class 466, 466010. 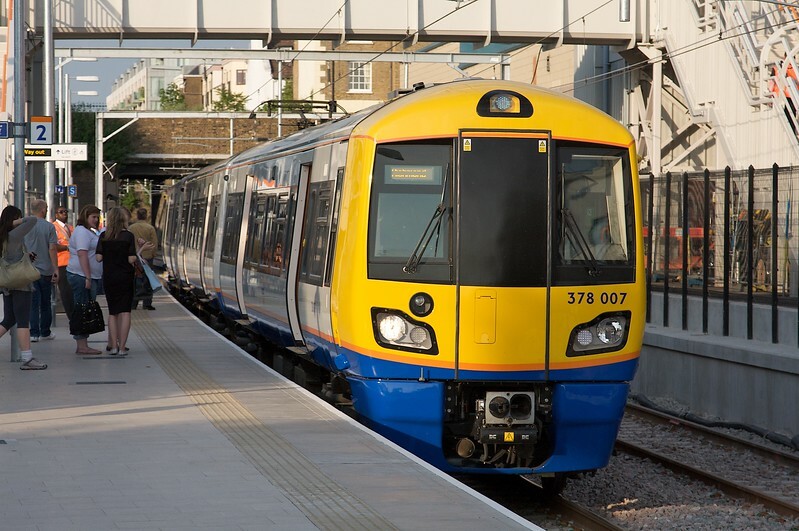 Class 378: There are 57 Bombardier-built 'Capital Star' Electrostars for the London Overground orbital routes: 20 DC-only class 378/1s for the ELL/SLL and 35 dual-voltage class 378/2s for the NLL/WLL and Euston - Watford DC service. 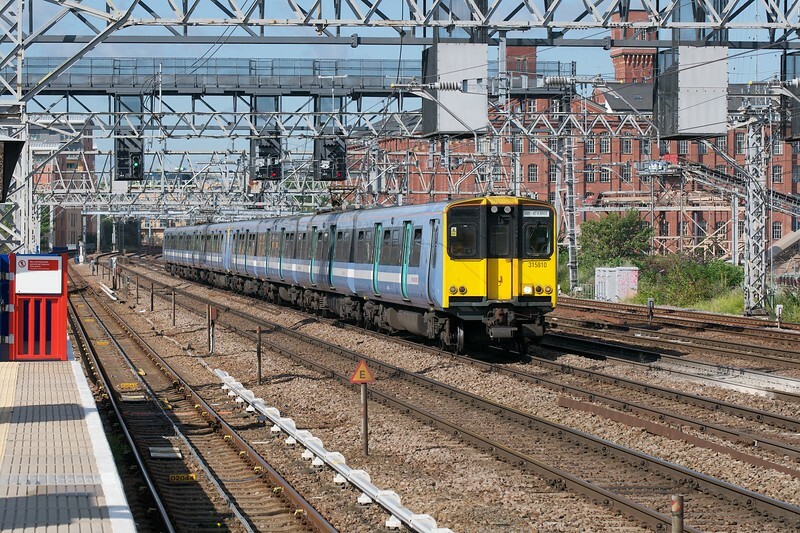 The first 24 dual-voltage sets entered service on the NLL, replacing class 313, in 2009 as 3-car class 378/0s. When extended to 4-cars they were renumbered 378/2. All sets were later extended to 5-cars. As my local units I have a photo of all 57 sets, so I'll just provide a selection here to illustrate variety in the fleet, such as it is. This is 378154 at New Cross Gate on 30th April 2010, at that time the limit of operation of the ELL which had opened 3 days earlier. Just after the line re-openend, at my then local station (and with my house visible in the background), 3-car class 378/0 378007 arrives at Caledonian Road and Barnsbury on the evening of 23rd June 2010. 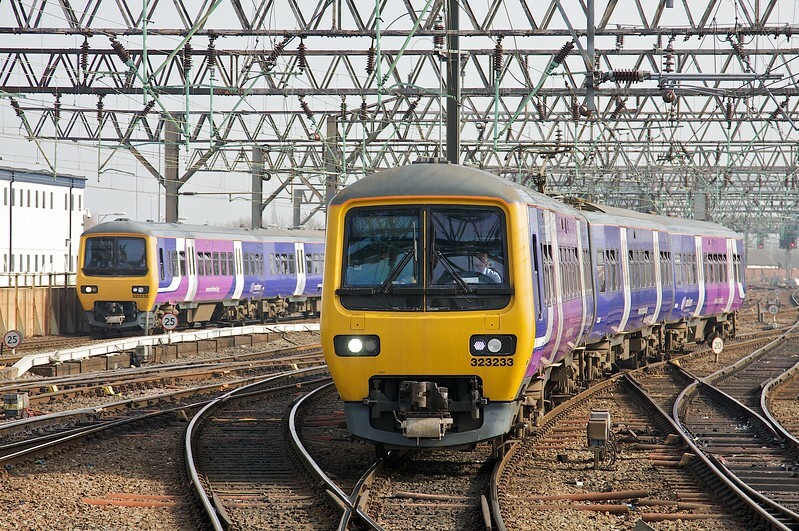 Displaced by class 350s from the WCML, 321437 saw further use on the GEML. The set is seen at Stratford on 10th July 2010, still wearing Silverlink livery. 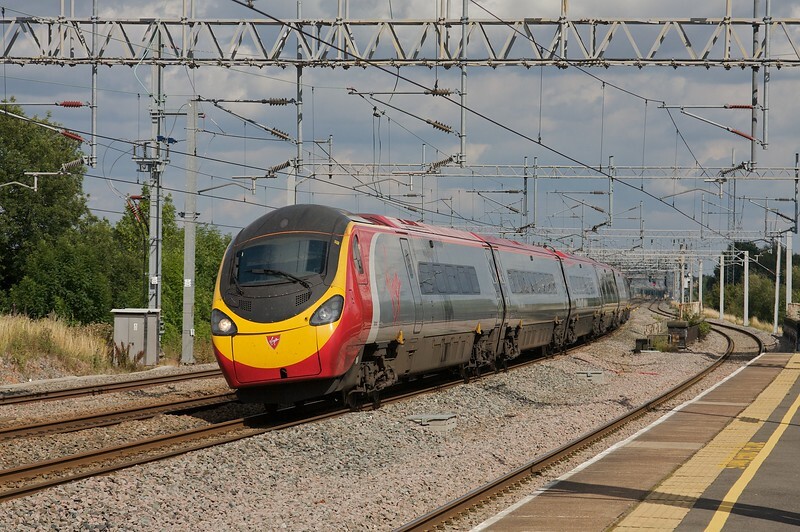 Class 390: Virgin West Coast has operated the tilting Alstom 'Pendolino' sets since 2002. 56 are in traffic, with one withdrawn following the Grayrigg derailment. 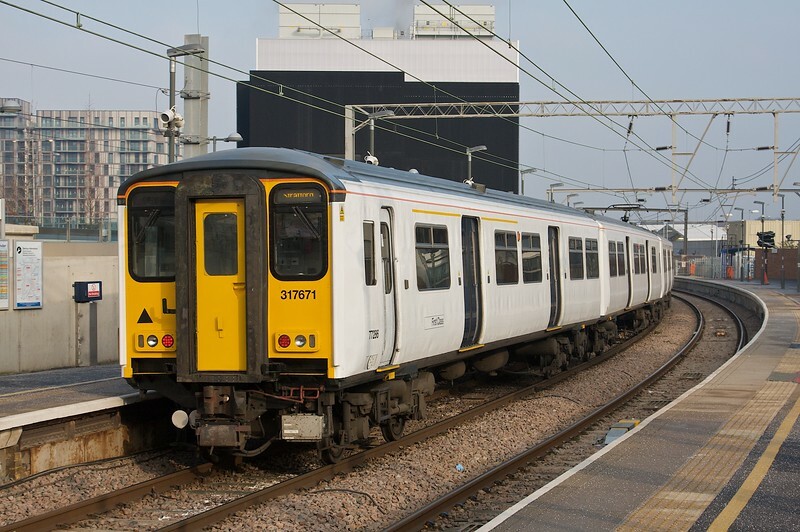 The original order for 53 8- and 9-car units was extended with 4 additional sets and extra intermediate coaches to create the current fleet of 31 class 390/1 11-car and 25 9-car class 390/0 sets. At Tamworth on 10th August 2010, 9-car 390042 leans into the curves. 313212 approaches Brighton on May 1st 2011 working the 2F52 1027 from Seaford. 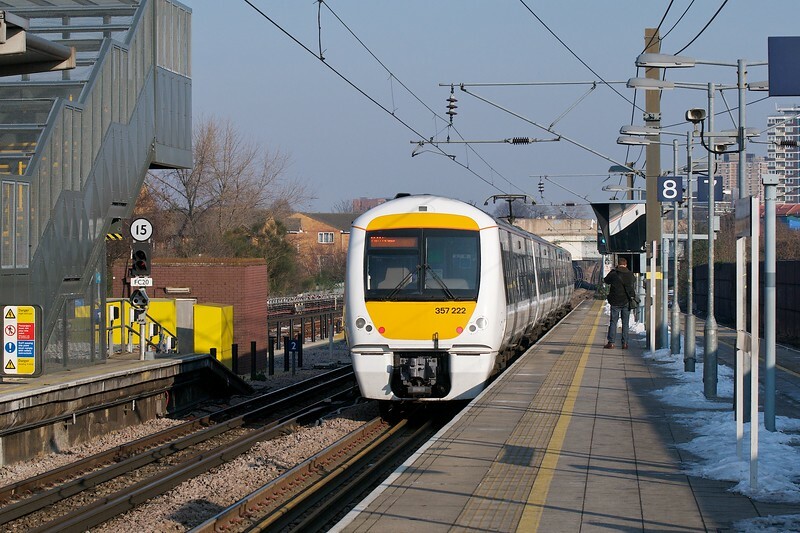 Nineteen of the class entered service with Southern from May 2010, having been displaced from London Overground. 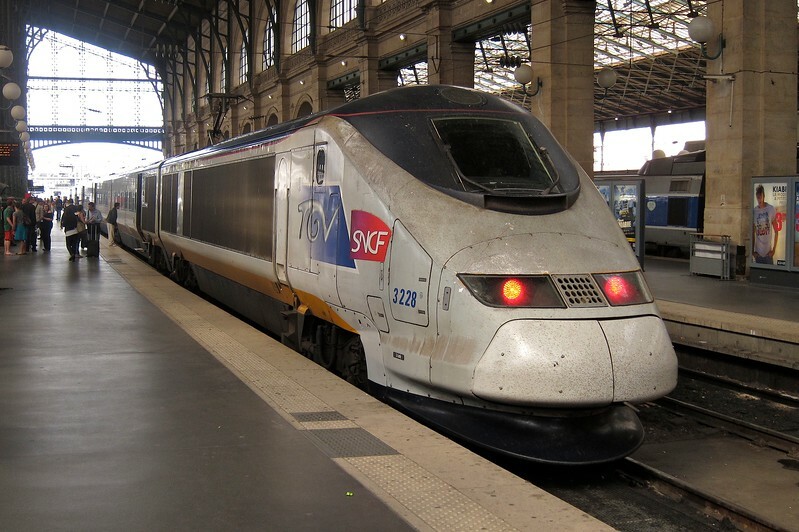 One of the SNCF class 373s working domestic services in France is seen at Paris Gare du Nord on 8th May 2011. No yellow end! Class 444: 45 5-car Siemens class 444 sets entered service with South West Trains from April 2004. 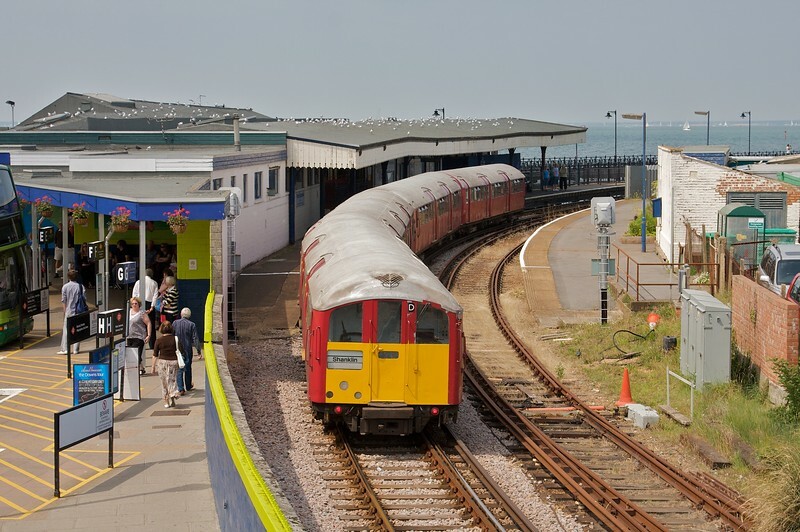 They operate on the Weymouth and Portsmouth routes. This image from 3rd June 2011 shows 444018 approaching Southampton Central with the 2B40 1050 Poole - London Waterloo. Class 365: 41 4-car 'Networker Express' sets entered traffic from ABB York in 1995, the last sets to be built there. 365501-516 originally worked for Connex South Eastern on 750V DC third rail, but later transferred to join the remainder of the fleet on outer-suburban services from Kings Cross using 25kV AC overhead. 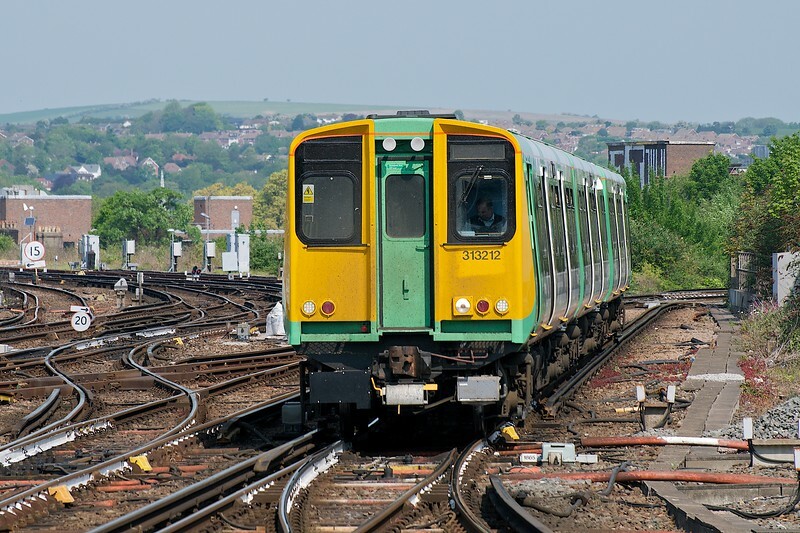 I don't have a photograph of one in original NSE livery, or Connex, and with the original design of cab: air-conditioning modifications created the 'smile' seen here, with 365521 wearing FCC livery. They worked for WAGN at privatisation, then FCC and later Great Northern. 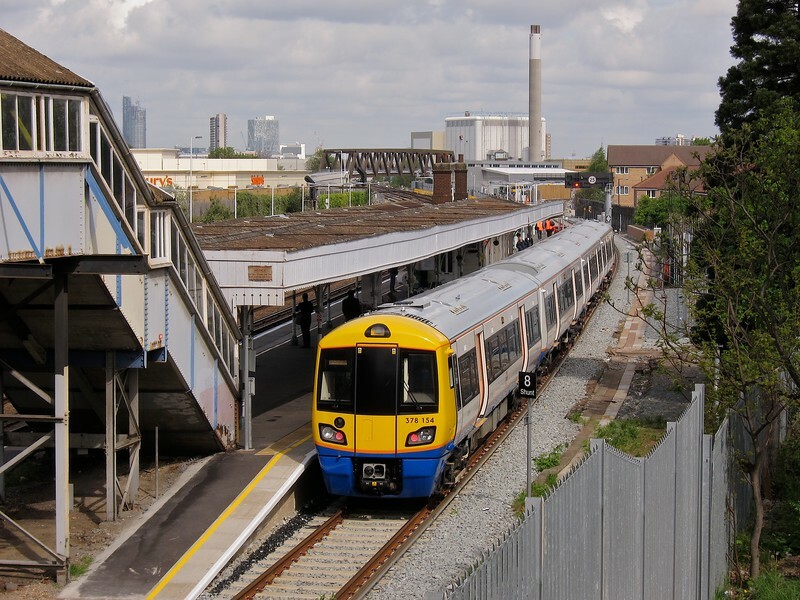 This shot on 4th June 2011 shows 365521 shunting at Hornsey depot, home for the fleet. 377/1: 64x 4-car DC express. 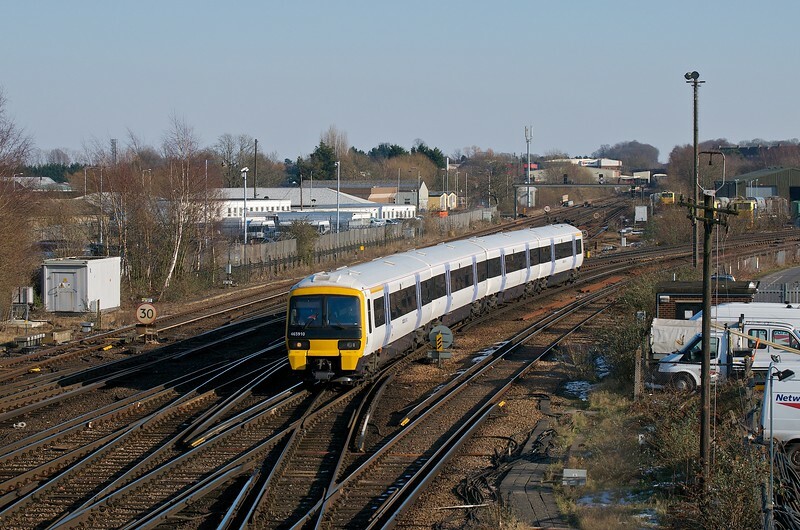 377/2: 15x 4-car dual voltage, originally for West London Line services but displaced by class 377/7 to Thameslink. 377/3: 28x 3-car DC, delivered as 375/3. 377/4: 75x 4-car DC outer suburban. 377/5: 23x 4-car dual-volrage for Thameslink, some later displaced to South Eastern. 377/6: 26x 5-car DC-only suburban. 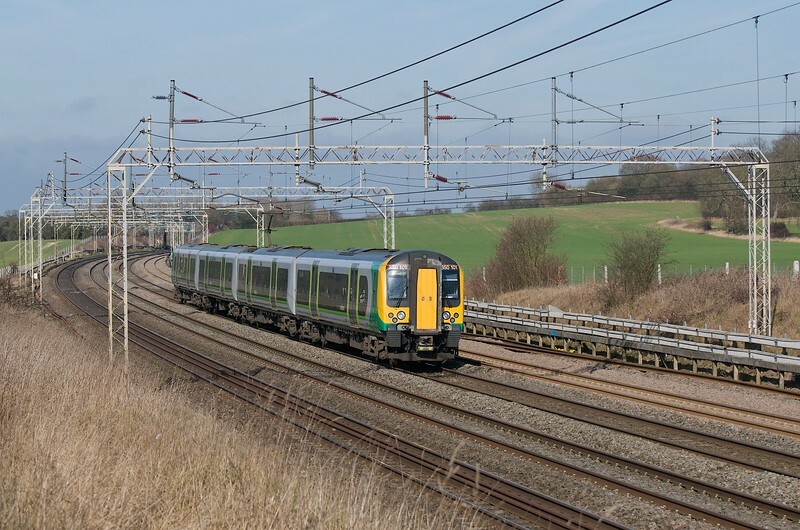 377/7: 8x 5-car dual-voltage to replace 377/2 on the West London Line through services between the WCML and Croydon. This is Portsmouth Harbour on 25th June 2011 and 377411 is heading back to Brighton with a 2N28 1629 departure. 321342 is seen at Shenfield on 3rd July 2011 with the 2K18 1115 London Liverpool Street - Southend Victoria. The sets wears an interim livery, branded NXEA. 360104 pauses at Chelmsford on July 3rd, 2011 with a 1N09 1136 Clacton - Liverpool Street service for National Express East Anglia. The set wears base FGE blue, with the Barbie-stripes removed, and a white NXEA band and branding. Wearing the remains of 'One' livery, but with NXEA branding, 315810 leads a sister passing Pudding Mill lane on 22nd July 2011. Since the destination blind says 'Sorry - Not In Service' this is probably ECS from the morning peak heading for daytime stabling. 483007 pauses at Ryde Esplanade on 31st July 2011 with the 2U34 1318 Shanklin - Ryde Pier Head. 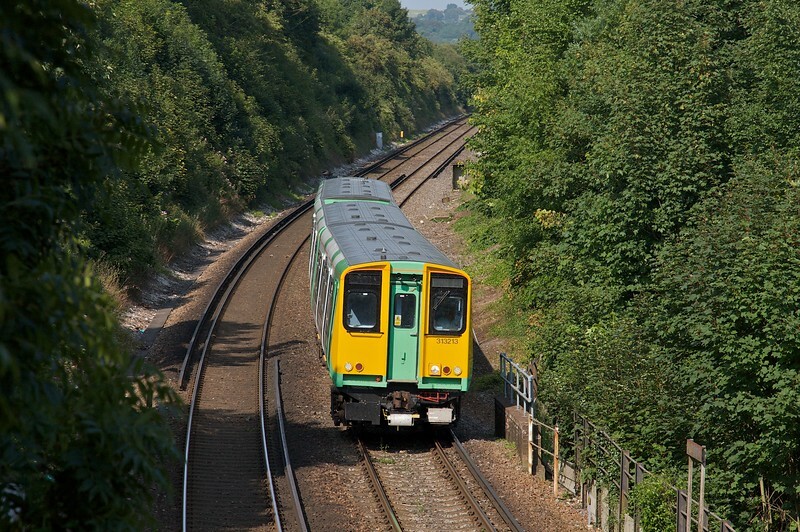 313213 is seen near Moulsecoomb on July 31st 2011 working the 2F74 1557 Seaford - Brighton. 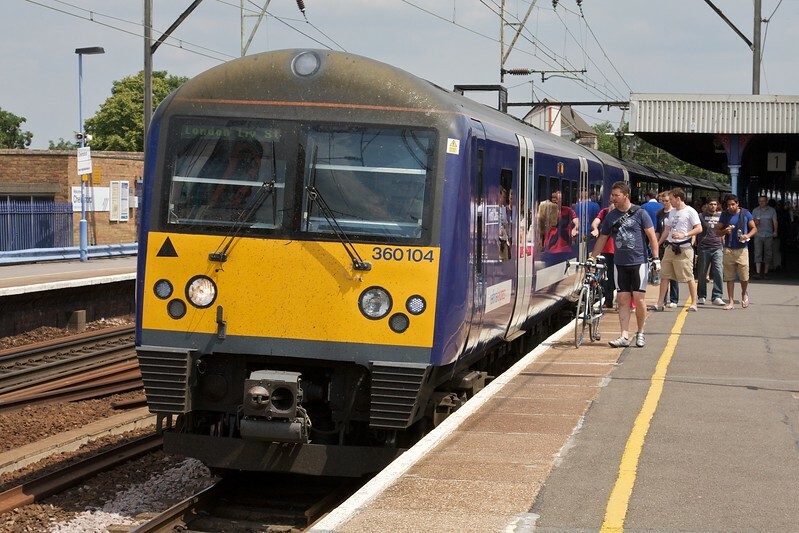 Note that the pantograph has been removed as part of the refurbishment work carried out at Wolverton, prior to the sets entering service with Southern. 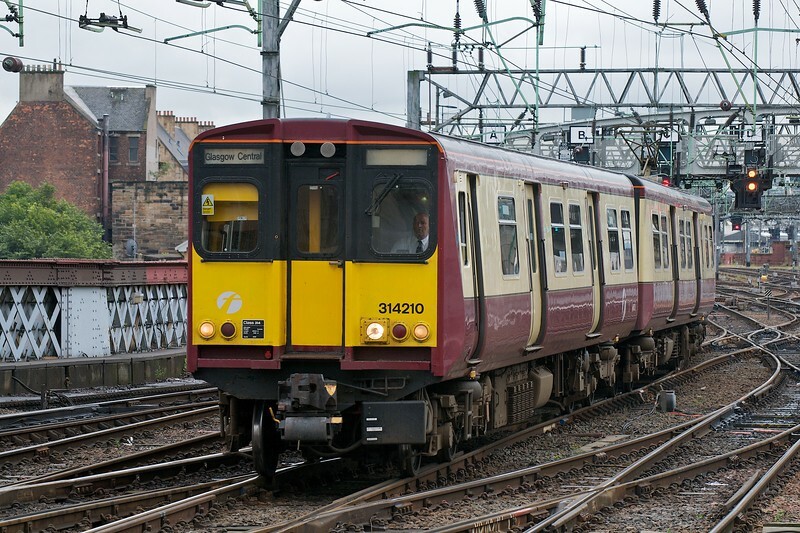 Class 334: 40 AC 3-car Alstom 'Juniper' sets entered traffic in Scotland from 2001, wearing SPTE carmine and cream. At Bathgate on 2nd August 2011, 334011 pauses with the 2H19 1021 Edinburgh Waverley - Helensburgh Central. 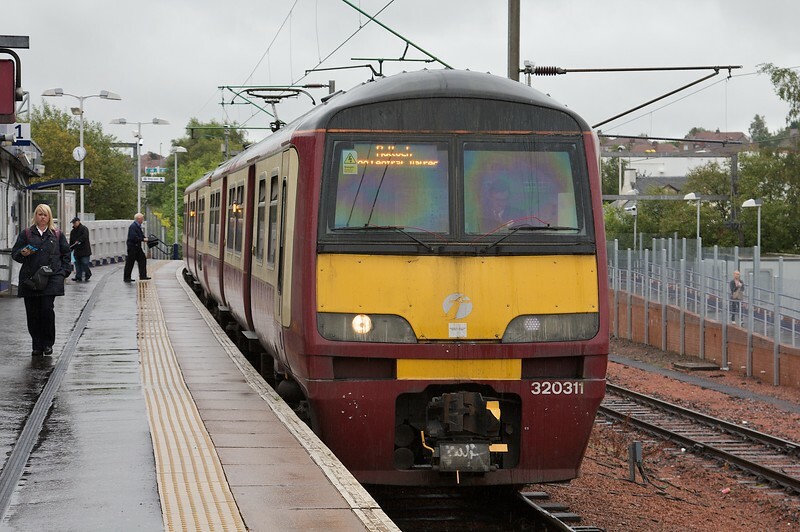 A record shot of a class 320 in SPTE carmine and cream. 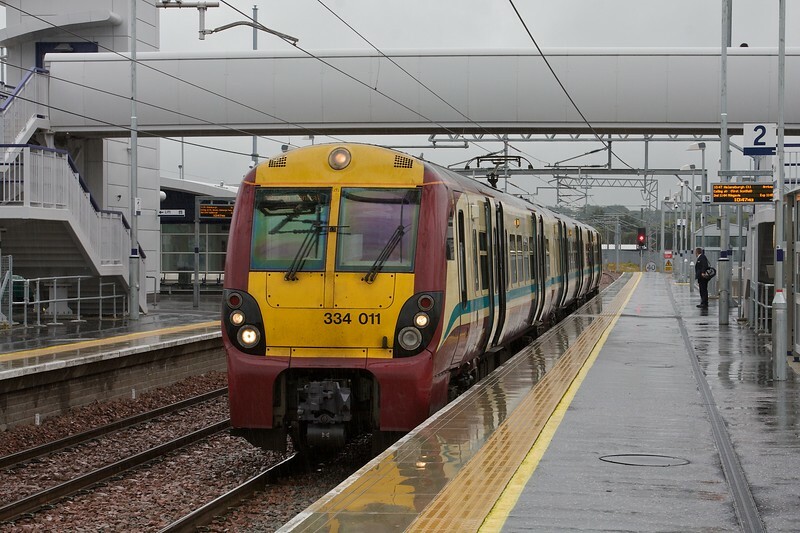 Sitting in the rain at Airdrie on 2nd August 2011, 320311 will from the 2E71 1127 to Bathgate. Wearing SPTE Carmine and Cream, 314210 approaches Glasgow Central High Level on 2nd August 2011. Class 332: Heathrow Express operate 14 CAF/Siemens class 332 sets, in traffic from 1998 as 3-car units, but now extended to 9x 4- and 5x 5-cars. 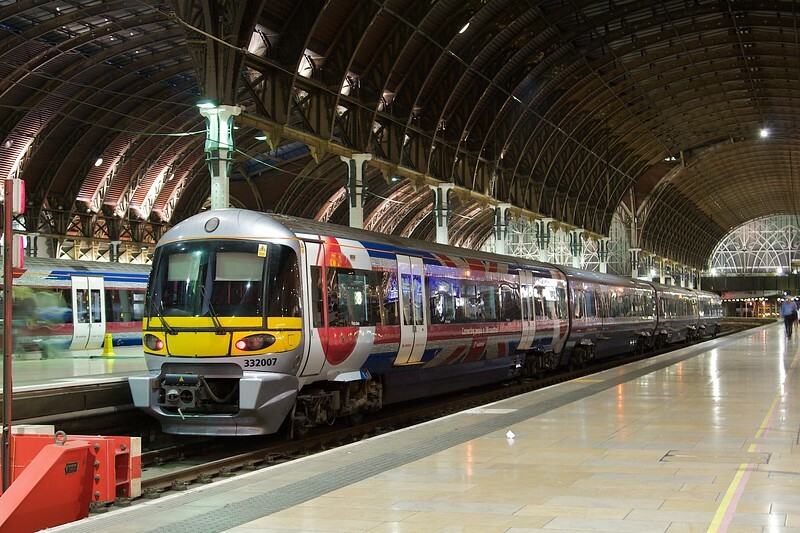 In this nocturnal scene at London Paddington on 4th August 2011, 332007 is preparing to depart with the 1T90 2140 to Heathrow Terminal 5. 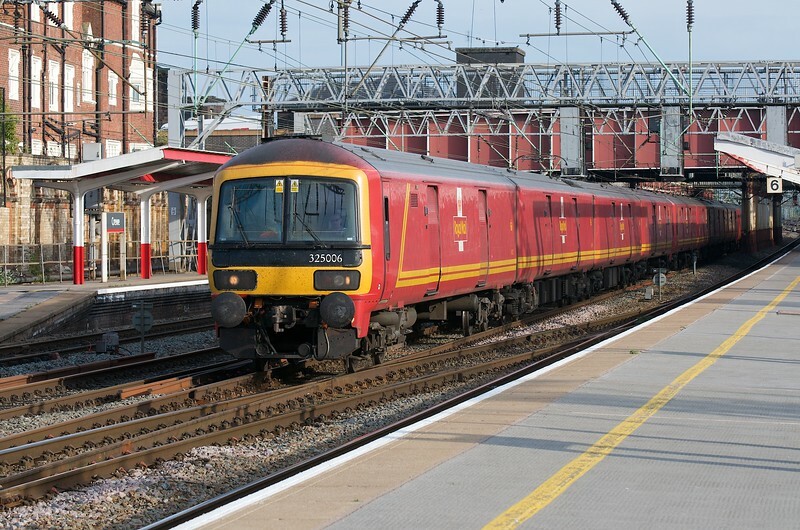 Class 325: 16 4-car dual-voltage postal units based on class 319 technology but with Networker cabs were delivered from ABB Derby in 1995. Mail by rail finished in 2004 but after a few years in store there was a limited return of the traffic. 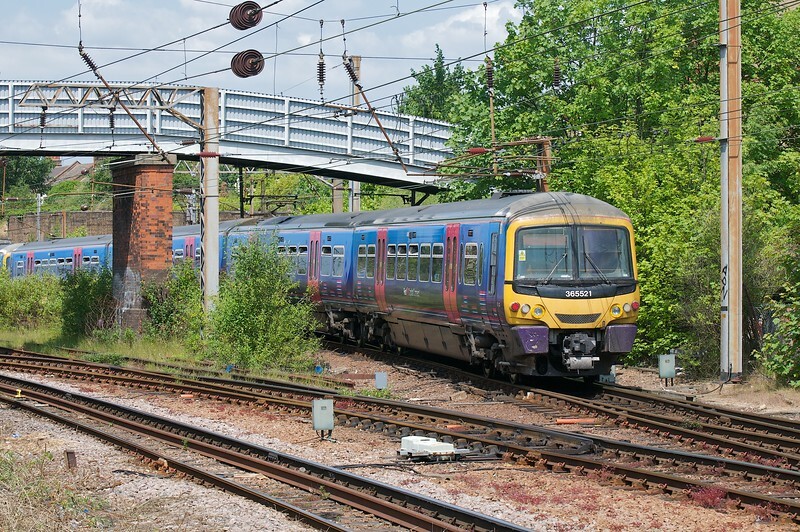 The sets now operate between Willesden PRDC, Warrington and Shieldmuir via the WCML, and PRDC and Low Fell (Newcastle) via the ECML. They no longer operate over the third rail network. In this view, 325006 leads a 12-car formation through Crewe on 5th August 2011 working the 1S96 1640 Willesden PRDC - Shieldmuir. The 2N36 1256 London Charing Cross - Gravesend passes New Cross on 2nd October 2011. 376010 leads a sister unit. South Eastern operated and branded, but these 465s at Greenwich on 2nd October 2011 still wear Connex livery. 465035 is working the 2E42 1400 Charing Cross - Dartford, passing 465236 on the 2B40 1343 'up'. The first of the additional sets, 390054 was identified by Alstom branding when new. 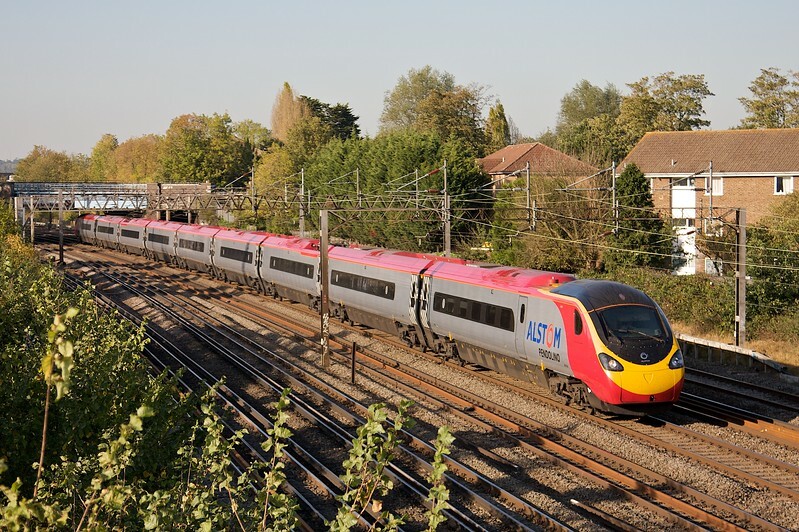 Seen here speeding south towards Euston on 14th October 2011, the set passes South Kenton. It would later be extended to 11-cars and renumbered 390154. 377142 approaches Wandsworth Common on 14th January 2012. Southern's refurbished class 455/8, 455845 trails an unidentified working that was presumably from Sutton, towards Victoria through Wandsworth Common on 14th January 2012. 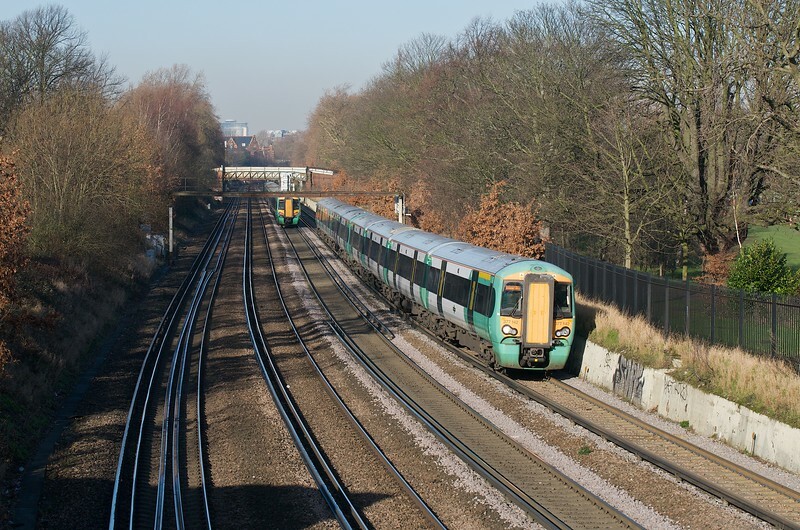 A rare shot at Wandsworth Common on 14th January 2012 since 460002 is working in reverse formation with the DMLFO leading. The train is a 1D70 1230 London Victoria - Gatwick Airport. 319005 forms the 2O53 1242 Herne Hill - Sutton Loop - London Bridge, seen approaching Wimbledon on 14th January 2012. 317671 is seen at Stratford with the 2S18 1030 to Bishops Stortford on February 4th 2012. The set is unbranded. The 2R38 1310 Charing Cross - Dover Priory departs Tonbridge with 375705 on the rear, on 10th February 2012. 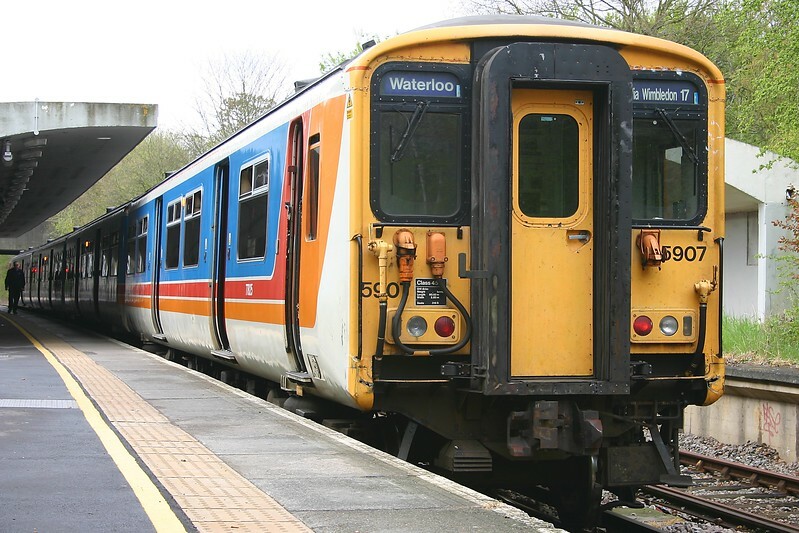 The units carries the interim SET livery with a lower blue band and doors, in comparison to the original grey and yellow of the leading unit and later all over blue scheme of the refurbished sets. 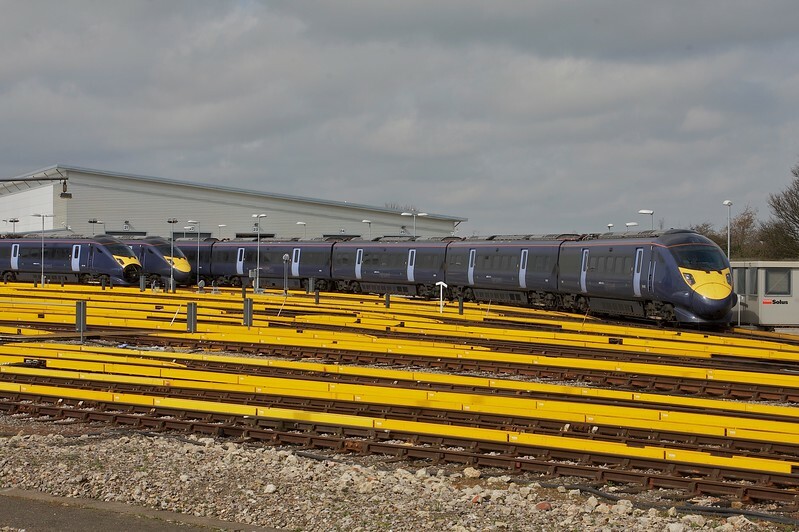 140 class 375s were delivered, with 28 of the 375/3s later renumbered class 377/3. The 375/3s were 3-car units, with all the others delivered as 4-cars. 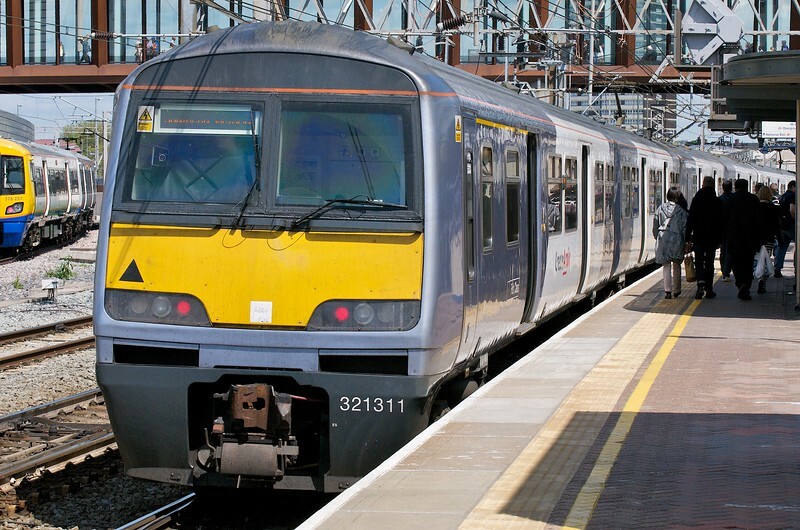 The 30 class 375/6s were dual voltage and fitted with pantographs. 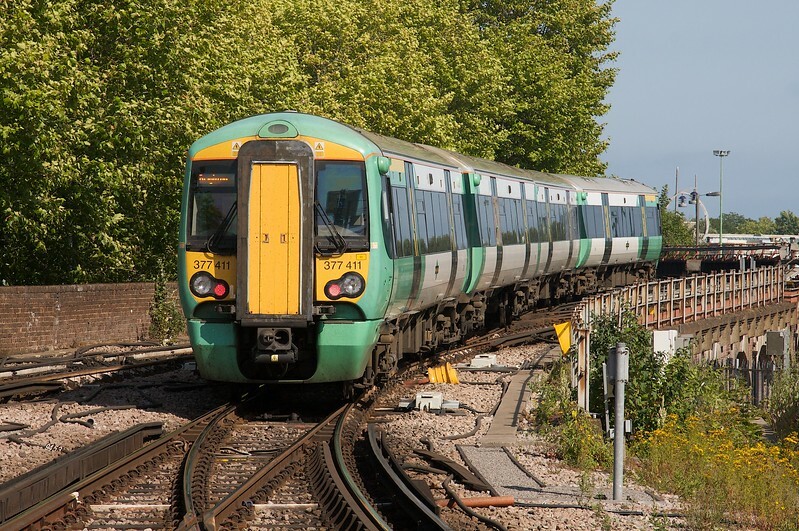 There are 15 class 375/7, 30 class 375/8 and 27 higher-density class 375/9s. The /8 and /9 fleets were delivered new with Dellner couplings, the rest had them fitted retrospectively. The only visible difference between these and class 377 is the absence of external cameras on class 375. A full refurbishment scheme started in 2015 at Derby. 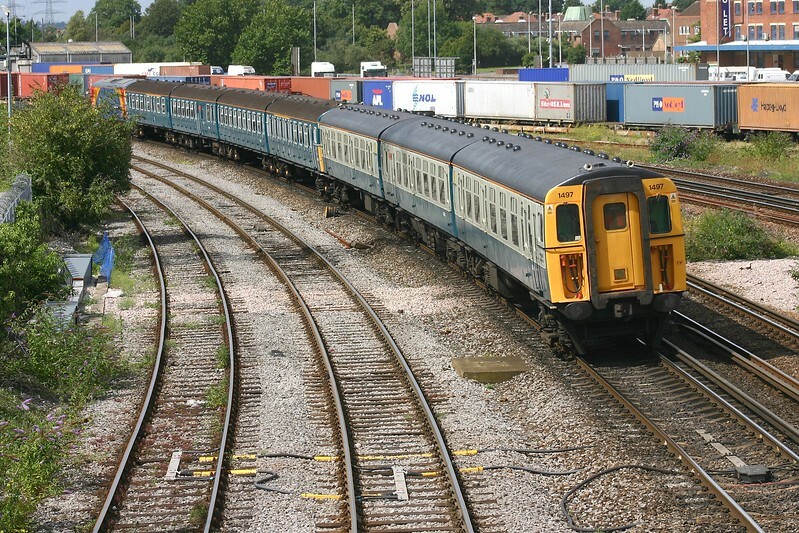 An example of class 465/9, working the outer-suburban services they had first-class fitted for. This is Tonbridge on 10th February 2012 and, in incomplete SET livery, 465910 is working the 2H52 1351 Tunbridge Wells - London Charing Cross. Wearing c2c white, 357222 departs West Ham with the 2R34 1405 Fenchurch Street - Grays on February 12th 2012. Class 350: The Siemens 'Desiro' platform has been successful with significant orders of AC classes 350, 360 and 380, and DC classes 444 and 450. 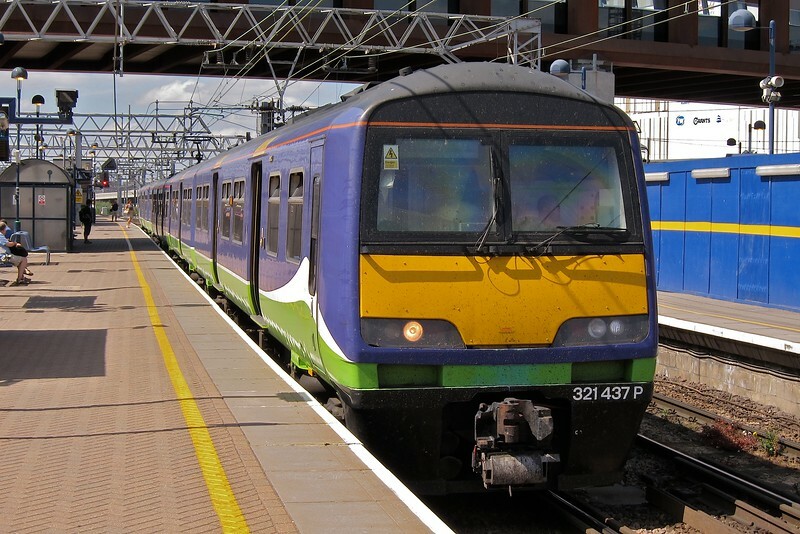 Thirty class 350/1s entered service on the WCML from 2005. 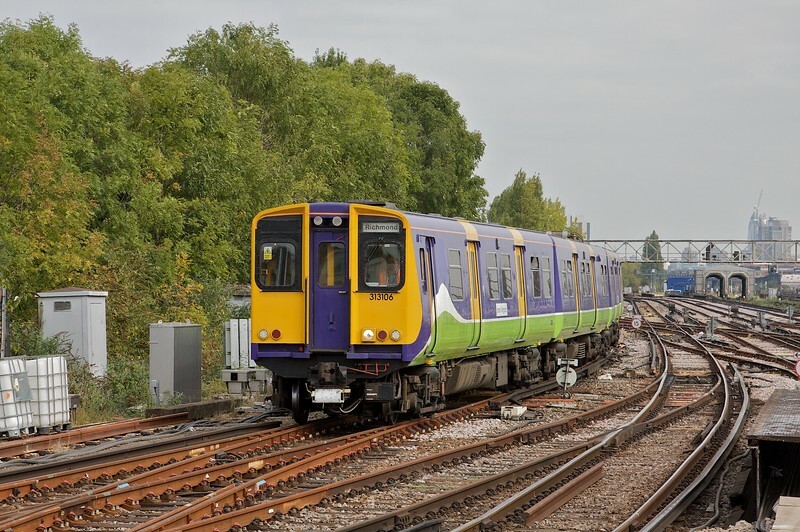 These were built with dual voltage capability and, for a while, some saw service on the West London Line. 37 class 350/2s followed from 2008 - these sets were built as AC-only, and with higher-density 3+2 standard class seating. 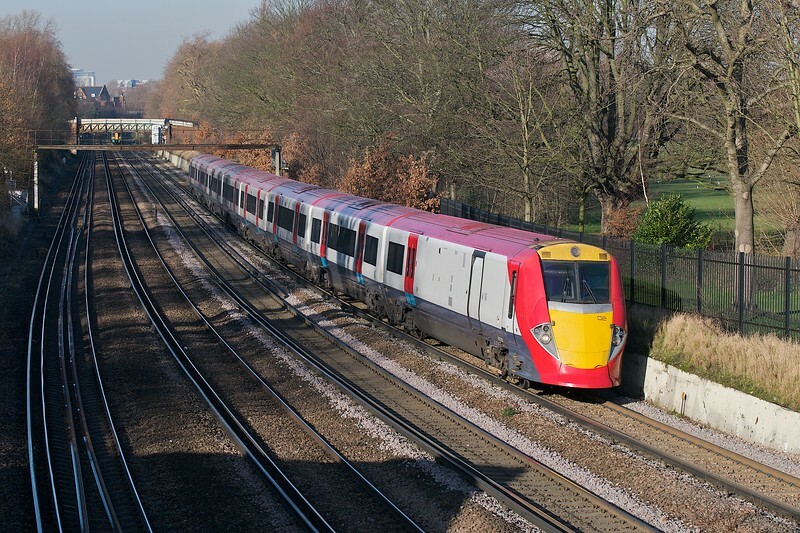 Completing the LM fleet, 10 class 350/3s with 2+2 seating entered service in 2014. Wearing a bland livery on delivery, the 350/1 sets initially operated for Silverlink and Central Trains before moving to LM. 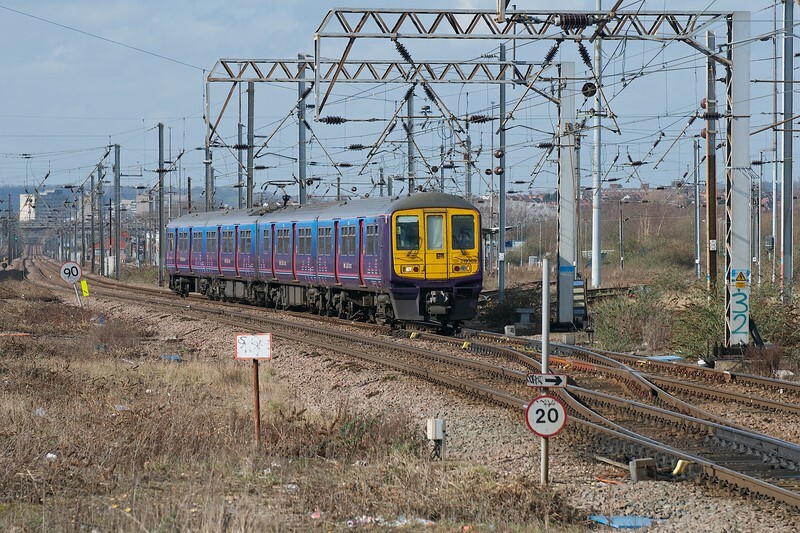 The only other operator to use the class 350s is FTPE, taking delivery of ten class 350/4s for Manchester Airport - Glasgow / Edinburgh trains from 2013. In this image 350101 speeds south on the WCML through Cow Roast on 26th February 2012. The 1A36 1308 Bedford - St Pancras speeds through Cricklewood on 3rd March 2012 formed of 319369. 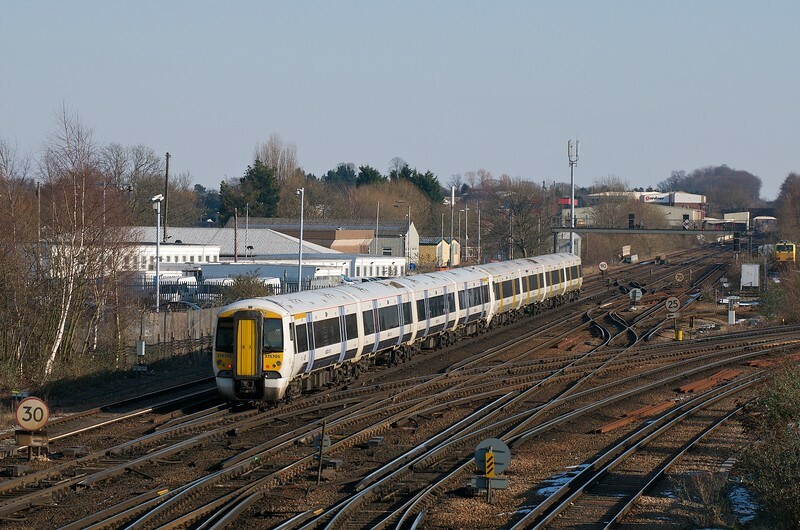 Engineering work meant Thameslink services were being diverted into the mainline station. 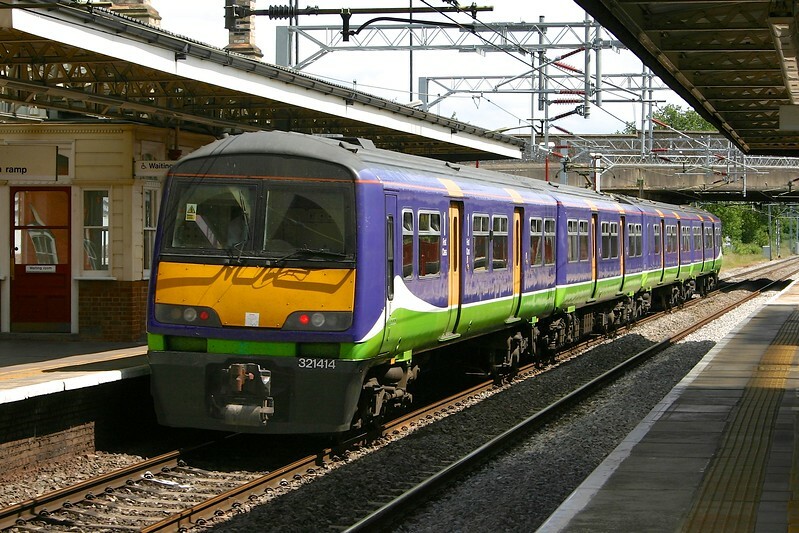 Class 323: The 43 3-car class 323s were built by Hunslet and entered service in 1992 on local services around Manchester and Birmingham. At privatisation, they passed to North West Trains, later FNW then Northern; and Central Trains later LM respectively. The latter sets, in Centro livery, operated the newly electrified Birmingham Cross-City line. The former were delivered in GM livery, and later carried FNW 'Barbie' colours. Now wearing Northern livery, the 23rd March 2012 sees 323230 and 323233 approaching Manchester Piccadilly, the latter on a 2A68 1346 from Manchester Airport. The 1K46 1255 Liverpool Street - Southend Central pauses at Stratford on 12th May 2012. Bringing up the rear is GA-branded NXEA-liveried 321311.